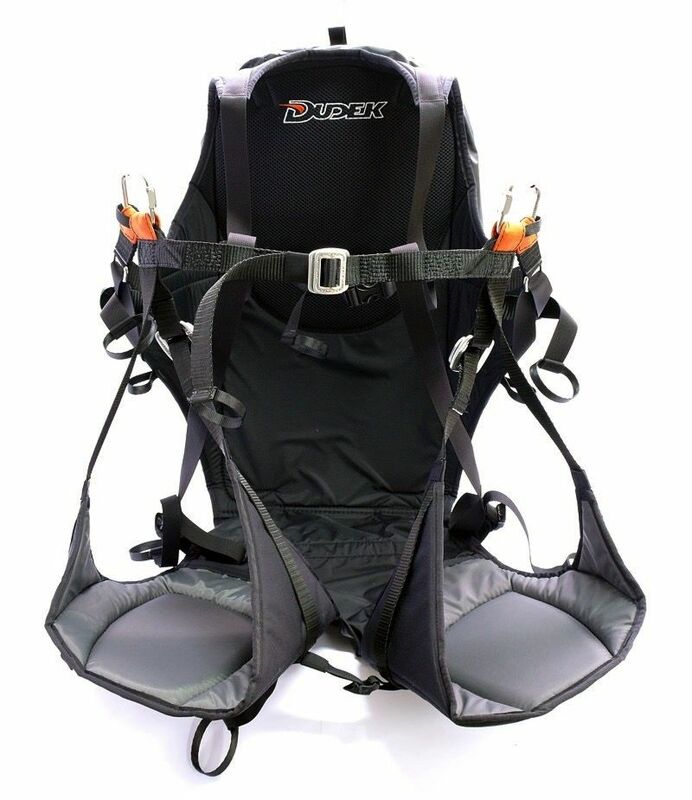 Dudek Zakoseat 2 Harness ZakoSeat 2 harness was essentially designed for speedflying, but it is perfect for speedriding and paraalpinism too. 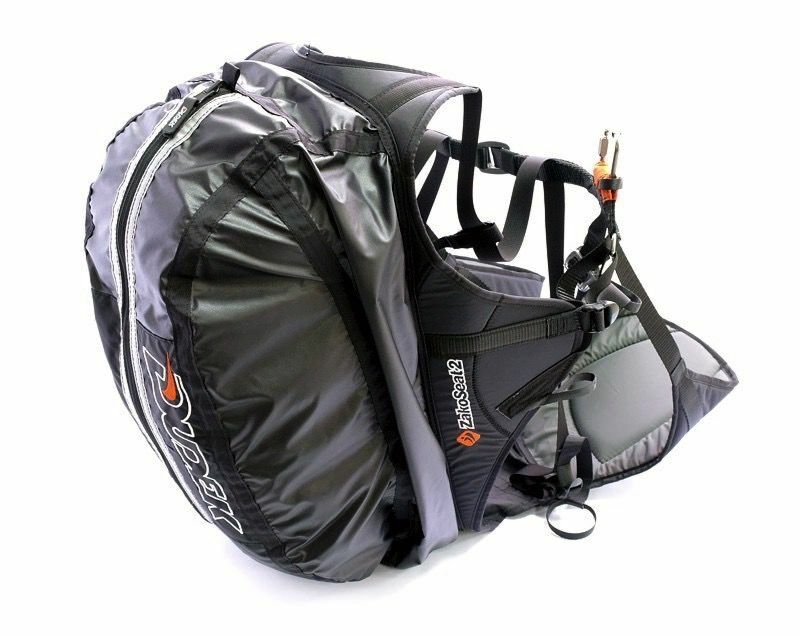 It is a reversible harness/backpack, meaning that after turning it inside out the harness becomes a backpack capable of carrying a speedfying paraglider (43 litres of volume). 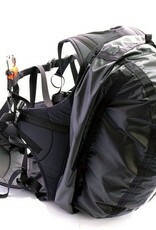 During flight the backpack stays with the harness as a big pouch. 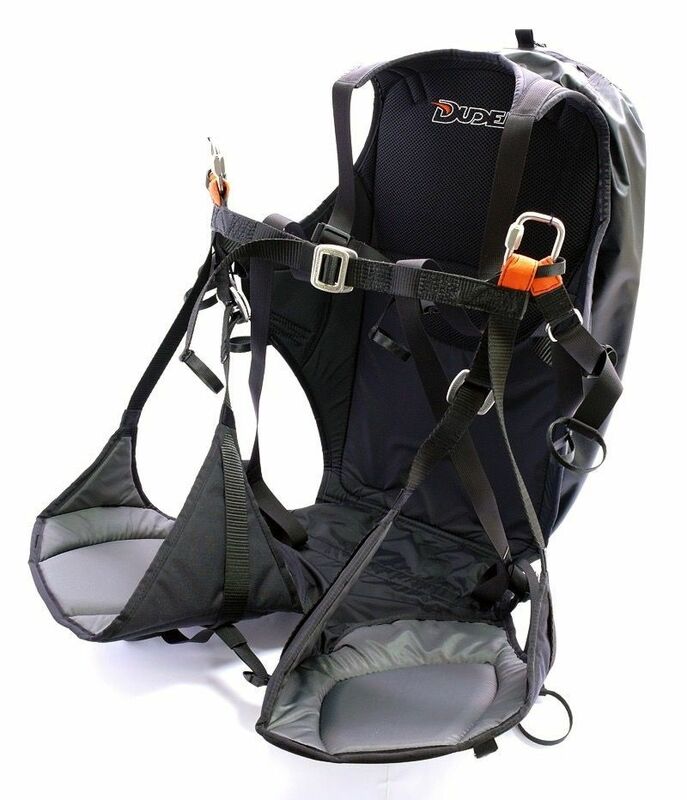 New geometry of the seat and back suport as well as even lighter materials allowed to decrease overall wieght up to 1250 g (withour carabiners). 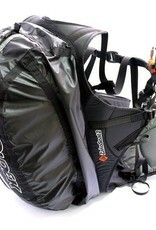 That makes the ZakoSeat 2 is a perfect companion for long mountain treks. 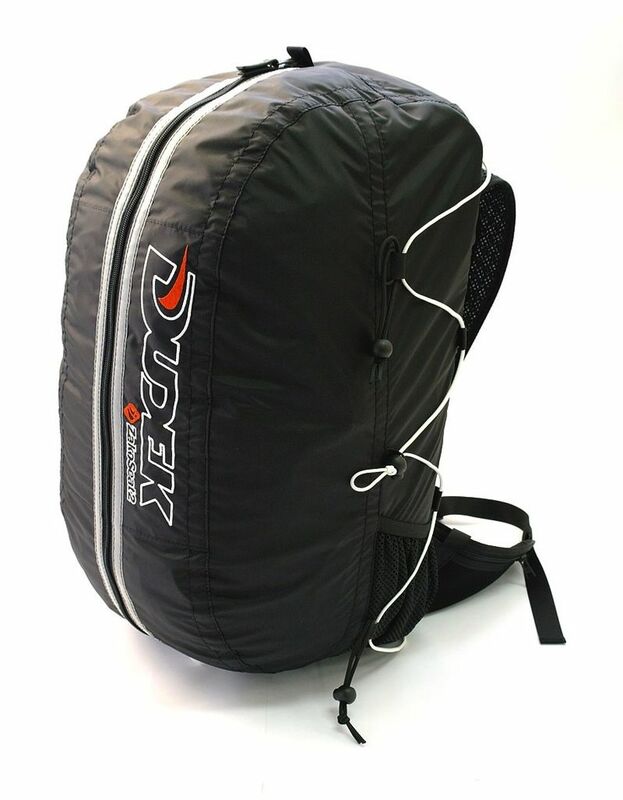 Breathable 3d net in the support system markedly improves comfort when carried on back. 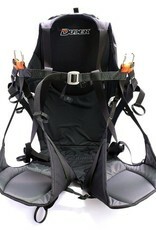 The harness is produced along as one size fits all philosophy. 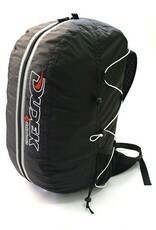 Height of the back support is adjusted, so that any pilot will be comfortable. 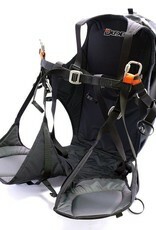 Despite its light and simple design ZakoSeat 2 has all necessary adjustments and is surprisingly comfortable. 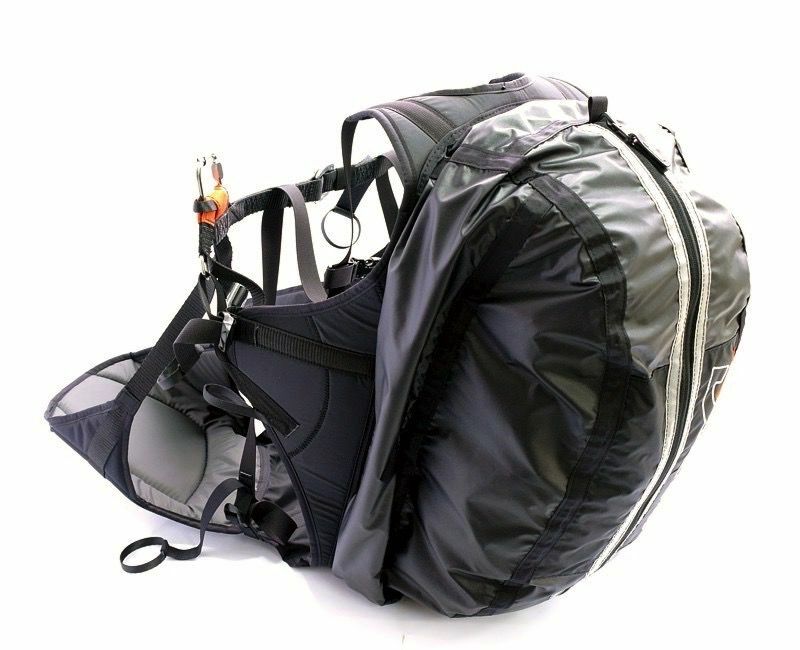 Colour scheme: black/grey Fabric: Polyamide/Cordura Straps: Polyamide Buckles: AustriAlpin Plastic parts: ITW Harness is basically sold without the carabiners.